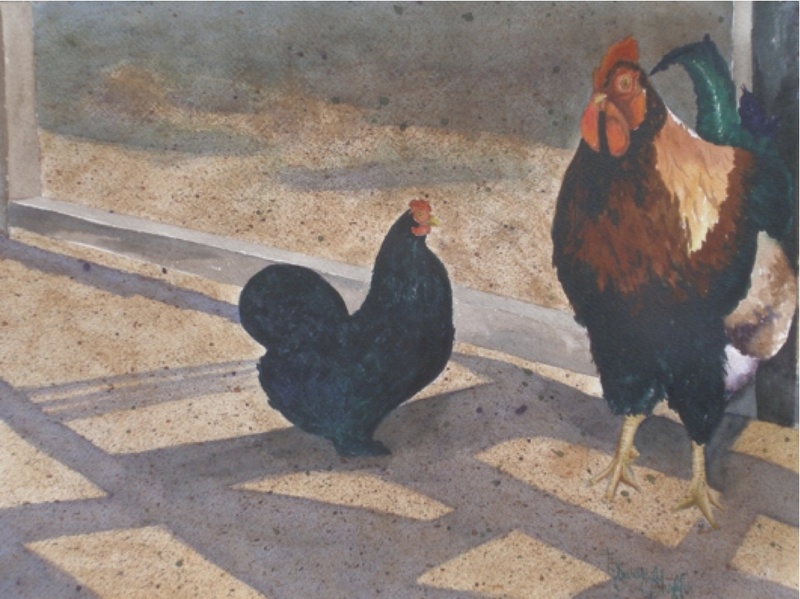 I am always intrigued by the strut and dance the rooster does just before he mates with the hen. This scene caught my eye because of the strong sunlight and shadows on the ground surrounding the ‘dance’. This was my favorite hen, she was a Silkie…she had feathers on her feet.